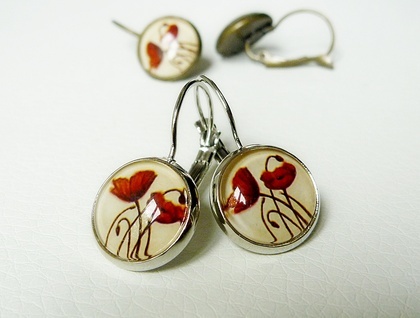 Cute 14mm wide earrings with a gorgeous poppy image behind a clear glass dome. The total drop from the top of the ear-wire is approx 2.5cm. Leave instruction of your choice of Settings. I can make several sets if needed to be sent together, just contact me. No extra cost for combined shipping, just the one payment per order if sent together. 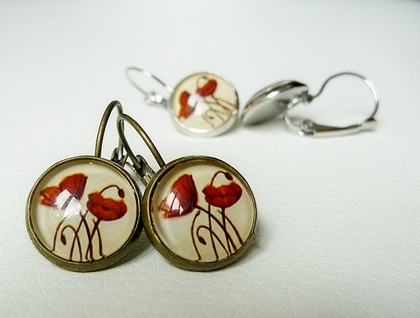 See my other listings for unique designs and some "One off" creations.